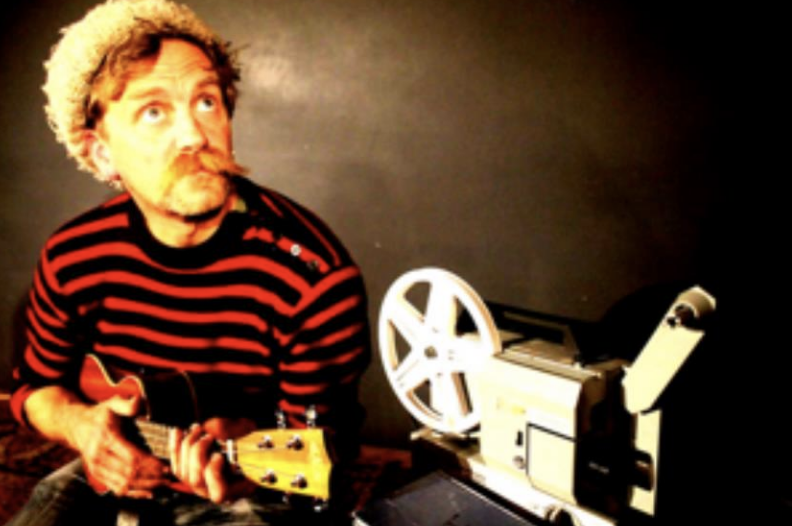 Our film is an observational documentary and arts film about Jonny Fluffypunk, a character invented by Jon Seagrave a comic poet and published author. Jon's act deals with the human condition, social awkwardness and the effects of modern life all done with a self-deprecating wit and intelligence. Our very enthusiastic Associate Producer has specialised in the world of Film, Television and Advertising here at Middlesex Uni and is multilingual. Her commitment to creating Fluffypunk is second to none. Her duties include a lot of research, a lot of fundraising, a lot a writing and paperwork. She hardly fits a tick box as a unique creative, who is never late and always has her own way of doing things. She also works part-time in Shoreditch so she knows where everything is going on in London. Maria works beside the director Thomas to arrange all the films pre-production processes, as well as ongoing and future content. Space travel is the limit! Lord of the keyboards focused on Sound and Post-Production Skills during her time here at Middlesex Uni as well as being a creative writer of dramas. This has led to her transition to working on this Arts documentary. 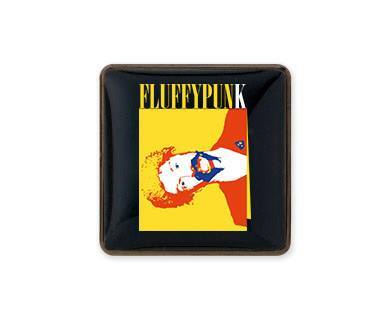 Her storytelling skills are proving to be perfect for telling Fluffypunk's narrative through the factual genre. As our editor and sound recordist she's proving herself to be a very capable technician with very impressive skills in editing. For the past year she has been working on both Premier Pro and Avid and has a sharp eye for detail. She will make sure the film layers are well laid out, meticulously planned and won't catch any sleep till May when it's due! Following in the footsteps of recent high profile animation documentaries such as 'Tower' and 'Loving Vincent' we are aiming to use the animation technique Rotoscope in our film. 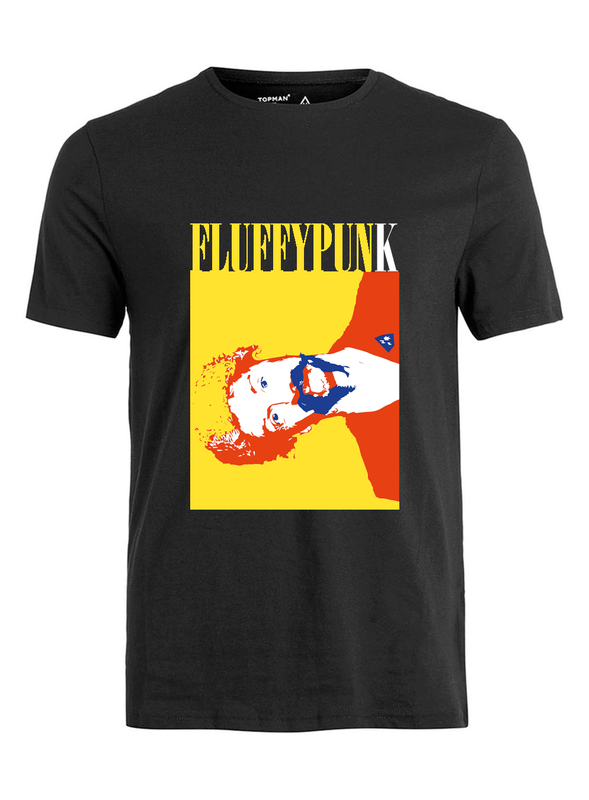 Jonny Fluffypunk is a very colourful, quirky character. This will lend to him becoming an animation very well for one of the scenes of our film. Ambitious we know but as you can see from the preview above we have to make this film and we must make it well. WHY A DOCUMENTARY ABOUT THE FLUFFYPUNK? Good comedy is fun, but brilliant comedy is when "It's funny because its true". Jon is a regular favourite of festivals such as Glastonbury and poet slams. He has often featured on the same bill as poet Kate Tempest. He is mentored and managed by Tony Allen, also known as 'The Godfather of alternative comedy', and responsible for mentoring many top comedians. Tony will be appearing in this film. 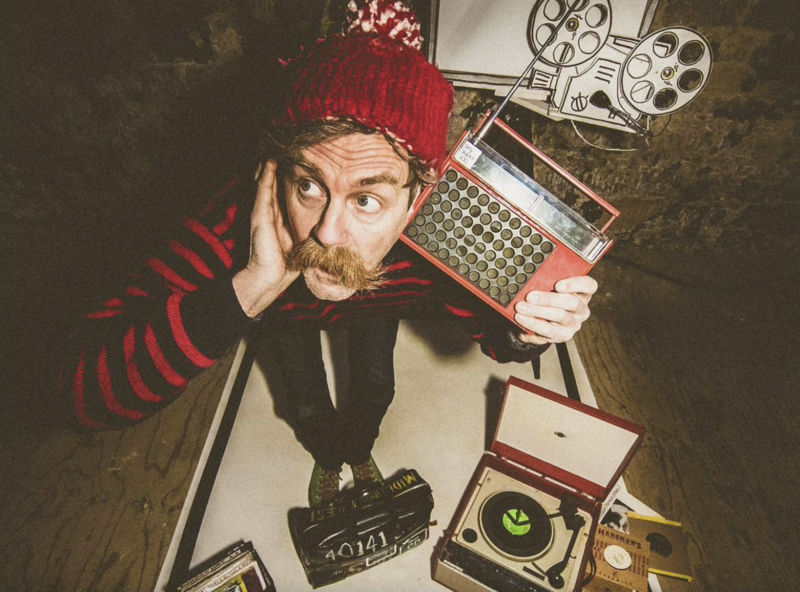 Truth is we can write a book of our own about how great Jonny Fluffypunk is but then it’s obvious how much we like him as we are making a film about him! We have also found fellow friends and co-performers of Jon's who think the same way we do and were more than happy to express their feelings about him on camera. These include Tony Allen, Elvis McGonagall and more. At this point pre-production is over and we are half way through the production. We are about to get into the fancy stuff - Post Production. Although Irina has amazing chops in editing, it's practically impossible to do it all by herself so we need a few more professionals to join our crew. This is where we are hoping some generous donors will come in! 3. We will be able to get some music composed and the rights for it. Technically speaking, the money we will be offering to the pros is far from what they would typically earn but we truly believe they will be happy to get on board with this great project. We also believe no one should work for free! Especially in London! 4. Applications for festivals in the UK and in Europe. We have a charity to donate the outstanding balance too: New Agenda Arts Trust supporting and promoting innovation in the arts. Registered Charity Number: 1040338 www.cafonline.org . We really want to use this film (our final year project) as an introduction to the professional world. We see it as a great opportunity to get out there, work with people who are already part of the Film and Television industry, build connections and do things the right way, with confidence and a professional attitude. We have thought long and hard about how to make things more rewarding for all of you generous, cool, smart people who give us money to finish what we started. 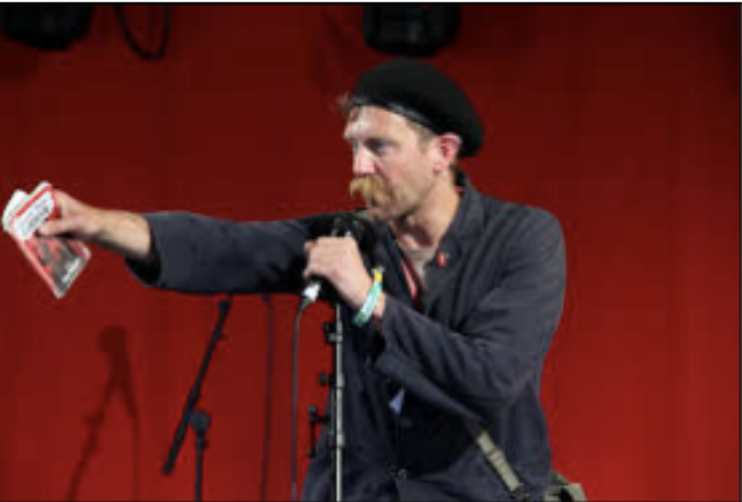 For the first donation of £350 by 25th of March 2018 we will offer two tickets to see the star of our film Jonny Fluffypunk live at the Soho Theatre https://sohotheatre.com/shows/bang-said-the-gun/ on the 26th of March + two T shirts, two badges, 2 tote bags, two customised poems written by Jonny Fluffypunk himself and two thank you credits on the film. All of the rewards will be shipped after the film is completed at the end of May with the exception of the Two tickets for the gig on the 26th of March. And don’t worry if you can't support us financially. If you like us and still want to help, just share this crowdfunding page. Fancy badge with the logo + 'Thank you' Credit at the end of the film credits. Fancy "Thank you" card with the logo + 'Thank you' Credit at the end of the film credits. Fancy badge and 'Thank you' card with the logo + 'Thank you' Credit at the end of the film credits. Cotton tote bag with the logo + fancy "Thank you" card with the logo + the badge with the logo + 'Thank you' Credit at the end of the film credits. Fluffypunk T-shirt + fancy "Thank you" card with the logo + the badge with the logo + 'Thank you' Credit at the end of the film credits. Cotton tote bag with the logo + Cotton t-shirt + fancy "Thank you" card with the logo + the badge with the logo + 'Thank you' Credit at the end of the film credits. 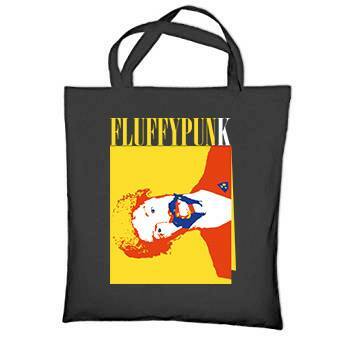 Book by Jonny Fluffypunk, signed by him + Cotton tote bag with the logo + Cotton t-shirt + fancy "Thank you" card with the logo + the badge with the logo + 'Thank you' Credit at the end of the film credits.